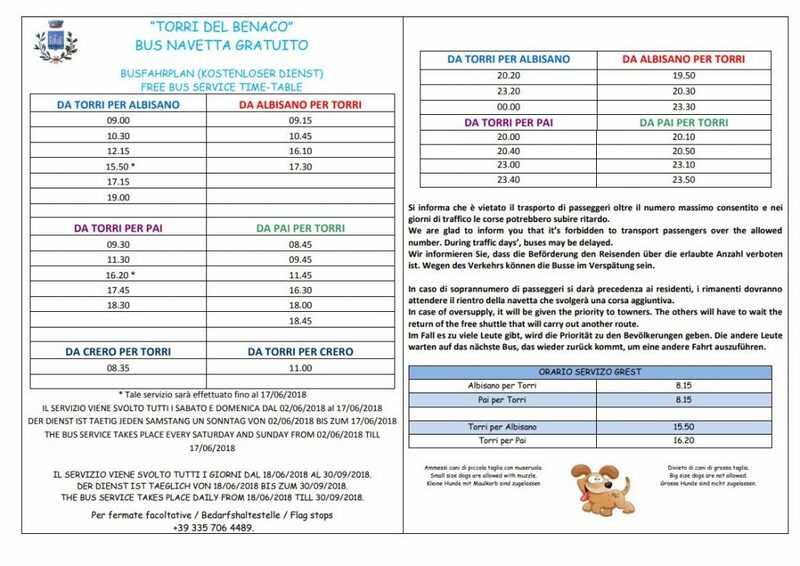 Free bus service in the Comunity of Torri del Benaco. You can go from the bus stop closest to our hotel (approx. 100m) to the center of Torri del Benaco (approx. 5km) for free, thanks to the shuttle service organized by our municipality. And this is very convenient for example to go to the weekly market of Torri on Monday or for an evening walk. 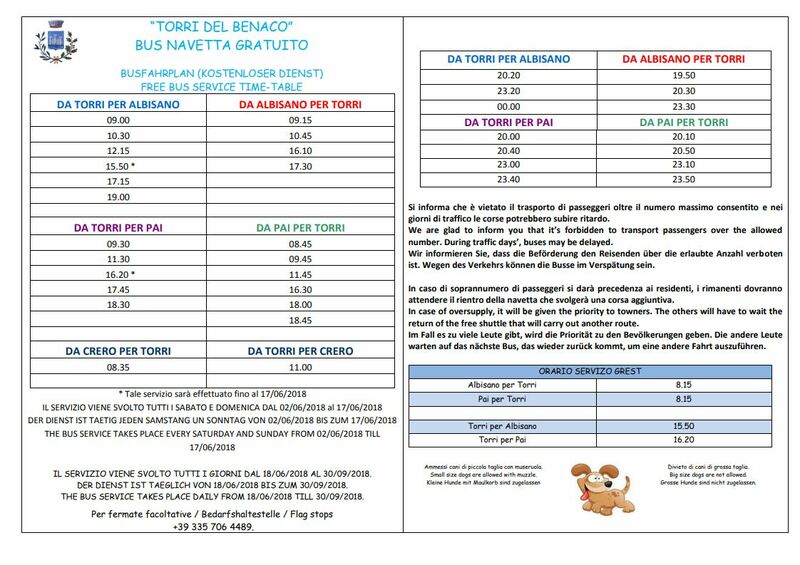 The service is hourly and daily from June to the end of September. For a plan ask please at the reception. This is the 2018 plan (click to enlarge).